The compact unit has a white backlit LCD display, operates from 12 volts and consumes little power. It is designed for inside cabin mounting only. 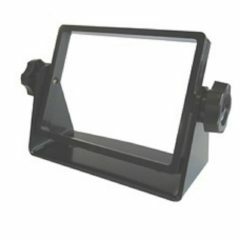 Optional cradle mount bracket for Clipper Easy Navtex, Weatherman, AIS Plotter or Meteoman display units. tuned on the AIS frequencies. 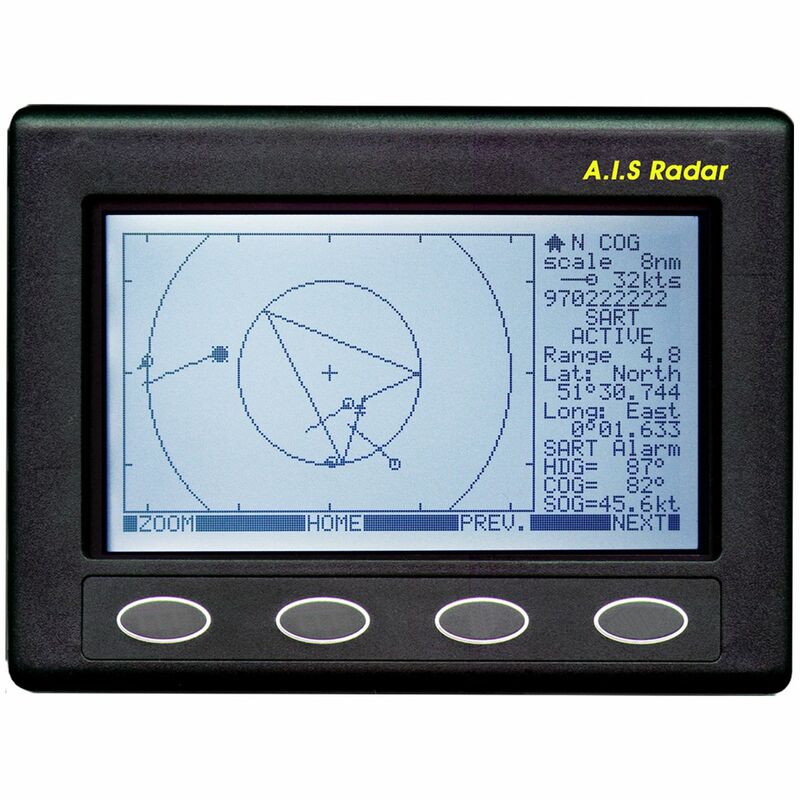 Perfectly suited to the AIS radar and AIS Engine. 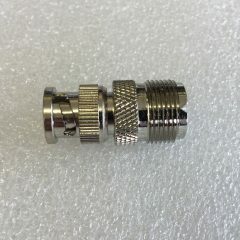 Adaptor to enable the BNC connector on the AIS Radar and AIS Engine to connect to the larger PL259 type VHF connector often fitted to marine VHF antenna cable. 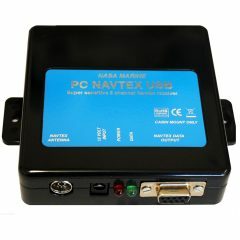 The PC Navtex USB is a two channel navtex receiver designed to operate on your personal computer. It will receive navtex messages even without your PC connected. Navtex messages are stored in a vast internal memory for you to download when you get on board. Down loading is quick and the software provided allows you to select the messages you want. 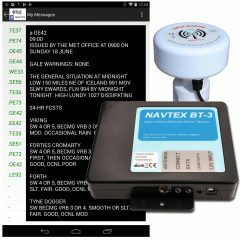 Leave the unit on 24/7 then, when you get on board, just plug in your PC and immediately download the latest weather forecast from your local station, or any other message stored in the PC Navtex USB’s memory. 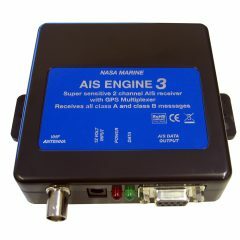 The AIS Engine 3 and a conventional marine antenna are all you need to start plotting vessels on your PC or AIS compatible plotter. The software runs in windows 95, 98, ME, XP, 2000, NT and Vista, it includes a world map on which vessels are plotted. Any vessel on the screen can be selected and its AIS data displayed. This includes the vessels name, MMSI number, position, call sign and destination etc. Also included on the AIS Engine is an optional input for a GPS (RMC sentence). With this connected the users own vessel is shown on the chart with its latitude and longitude displayed in a window. The unit can receive ships on either the A or B AIS channels. In default setting it alternates between the two channels. The AIS engine can also be used with plotters or other PC software that have an AIS input facility. Check compatibility with your software supplier. An NMEA 0183HS input at 38,400 baud is required to accept the VDM AIS strings corresponding to ITU-1371. If your PC does not have a spare 9 pin serial port a low cost serial to USB converter is available as an optional extra. The Target HF3 is a masterpiece of R. F. engineering covering the entire spectrum between 30Khz to 30Mhz. 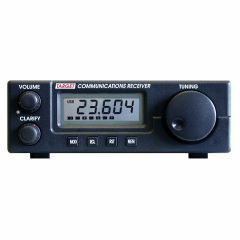 For those new to single side band reception the unit comes complete with everything needed to ‘get on the air’ including a comprehensive instruction manual which includes a list of useful marine frequencies. Controls on the front of the receiver change reception mode, from a narrow filter for SSB reception to a wide filter which enables high quality audio signals to be heard from broadcast stations around the world. They also control ten memory channels to store your favourite frequencies. The Target HF3/P has a fixed level audio output to connect to third party weatherfax software. The receiver is supplied complete with a basic long wire antenna, 12 volt power cable and instruction book. The HF3/W is complete with CD software and interface cable for connection to a PC sound card. The software enables reception of weatherfax pictures, Radiotelex weather forecasts and Navtex. Simply install the software, plug in the supplied cable to the receiver output and PC sound card to receive weatherfax pictures and forecasts from around the world. Requires PC Windows XP to 7. Many sailors rely on low cost domestic barometers, which are inaccurate, have low resolution and very poor history. Several quality paper recording instruments exist but are delicate, fiddly to use and rely on paper which can jam when damp. The MeteoMan overcomes all these problems. It provides an accurate, high resolution barograph recording in excess of five days data on barometric pressure and wind speed. It is easy to use, reliable, rugged and draws very little power from the boat’s battery. To assist in predicting future trends the unit also displays a precision barograph and an anemograph showing barometric pressure and wind speed for the previous five days. In addition to the meteorological functions the unit includes a marine chronometer, a stop watch, a race countdown timer, display of internal temperature and battery voltage. NMEA Wind Sensor supplied with mounting brackets and 20 metres of two core screened cable. Conventional navtex antennas respond to the electrical component associated with the navtex radio signal. They usually perform well at sea where electrical interference is low but can sometimes be overwhelmed with interference especially when in harbour and connected to shore power. In most small craft the electrical system acts as an effective ground for the antenna but it can also be a source of interference conducted from other electrical equipment on board. Electrical interference can result in poor reception especially in a marina where the ambient level is high or at sea when poorly suppressed electrical equipment is in use. The omnidirectional H-Vector antenna is not sensitive to electric fields but to the magnetic component of the navtex signal. As a result it is less sensitive to locally generated interference and, as it does not need a ground, it is not affected by conducted ground interference whether in harbour or at sea. The net result is that, under adverse conditions, the H-Vector antenna can deliver a significant improvement to navtex reception. The mushroom shaped antenna is compatible with the Clipper navtex, series 2 Target navtex and with the navtex engine. 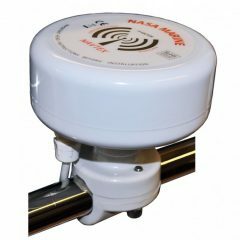 It can be mounted on a cabin roof or rail mounted using an appropriate threaded antenna base. I am delighted with our new antenna. Our Navtex , normally somnolent in the marina, has burst into life! Someone asked me recently – why bother with Navtex? My answer was simple. Last year a gale blew up suddenly on the Turkish Aegean coast. The Navtex transmitter at Izmir issued an urgent gale warning out of ‘normal hours’ and it was the only service to do so! For example there was nothing about this gale on PredictWind on our WiFi. Now had a full month on the boat in Turkey cruising around and am even more delighted than ever with the new antenna! Easy to read. 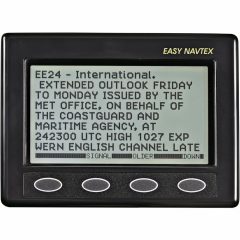 This new navtex receiver features big, bold characters and intuitive message formatting. Easy to program. Simple menus let you select which stations and which message categories you want to receive. Easy on your battery. Its low power consumption and power saver mode on the backlight ensure minimum current drain. Easy channel switching. Programmable automatic switching between the 518Khz and 490Khz channels. No more getting up early to switch channels. Easy signal analysis. 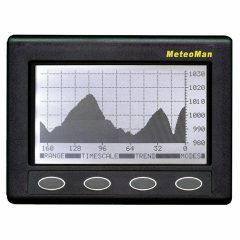 The built in spectrum analyser shows the signal in real time whilst you are receiving messages. Easy Navtex is designed for panel mounting and is supplied with antenna, power cable and dust cover. The internal memory stores in excess of four hundred typical Navtex messages with new messages overwriting the oldest. 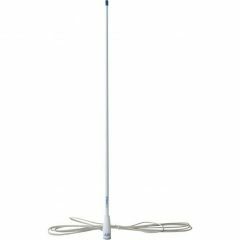 The receiver can be supplied with a standard E-vector antenna or, for more challenging conditions, an H-vector antenna is also available. The H-vector antenna has a standard 14 tpi mount and is connected to the receiver using the seven metre cable provided. 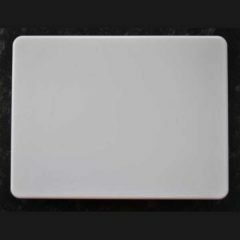 It can be either surface of rail mounted and there are several suitable, optional mounts available. A fused power cable is also supplied to connect the receiver to a permanent 12 volt power source. The Target Navtex Pro is packed with features yet is still remarkably easy to install and use. Great care has been taken to make this unit very simple to operate, in fact should one lose the comprehensive instruction book supplied with it, it is possible to program the unit via the on-screen menus – it really is that simple. The messages are displayed on a high contrast backlit liquid crystal display with a clear line space between messages to aid location – this is necessary as the unit has a very large memory. You can be sure you always have up to the minute data as the memory will overwrite the oldest messages if it becomes full. However you can at any time erase the data memory if you wish. 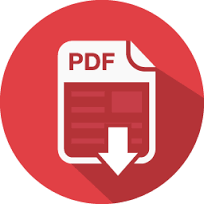 It is like a continuous stream of paper – without the mess or expense! Navtex has come of age, a free worldwide information service in English. 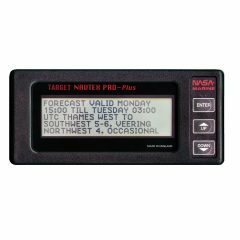 A Navtex receiver is a most essential piece of equipment and the Target Navtex Pro is state of the art. This excellent piece of equipment comes complete with its own active aerial and is designed to be left on continuously – consuming a miserly 40mA. Can you afford to be without one? The Target Navtex receiver is supplied with – Antenna and 7 metre cable, a power cable, a crade mount bracket and a manual.